Fashion divas get adventurous with red, white and green hair colored strands and it gets even better when they run a triple barrel curling iron on it. Not everyone can manage to own a stunning look with curls, but a triple barrel curling iron can turn you into a curling pro! While we have already shared the creative side of the spectrum, the functional ability of a triple barrel is very convincing to own one. They let your curls roll into submission to the wand, to create beachy waves, loose curls and astonishing volume for the otherwise skinny hair. 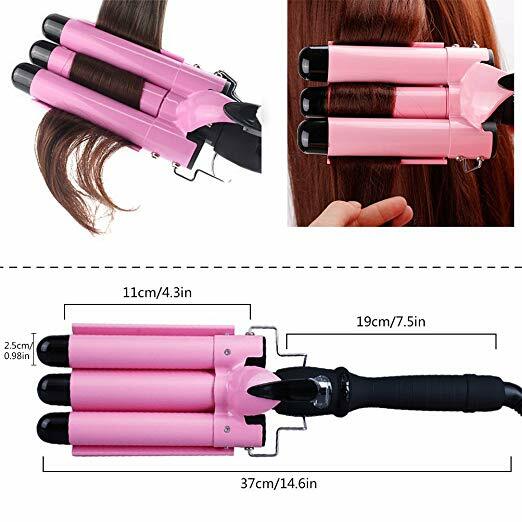 You will be knowing about why would you choose a triple barrel curling wand over a normal one, the caution you need to take before purchasing one, and the possible hairstyles you could try on yourself after you own this curling wand. Why Use a Three-barrel curling iron? 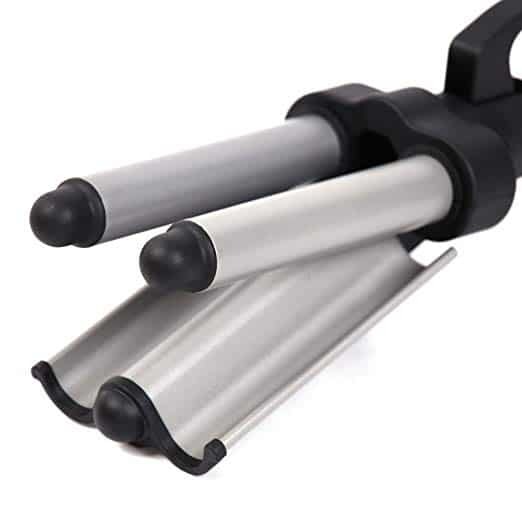 Even with unmanageable hair, a triple barrel curling iron can create smooth and shiny curls. Achieving beachy waves is the easiest of all. Initially you may spend more than thirty minutes, but with time and practice, you can render the curled look in fifteen minutes or less. You should keep in mind that a triple barrel is always difficult to start with, than a single barrel curling iron. 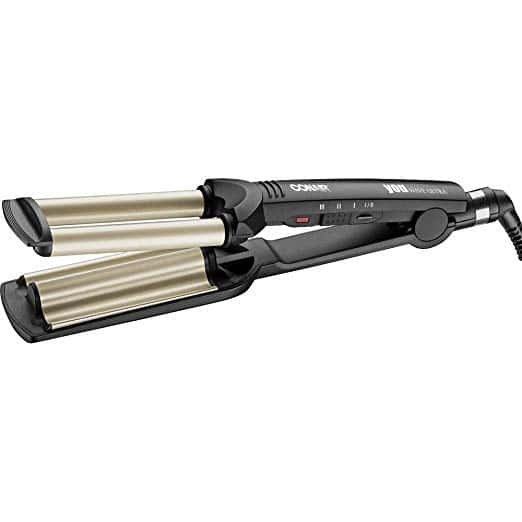 Triple barrel curling irons made of ceramic are best for thin and fine hair. The titanium ones can sustain intense heat and hence, work best on coarse, thick hair. Tourmaline helps reduce static and frizz and is mostly a cover to either of the materials mentioned earlier. So, choose the material based on your hair type. Now, we answer the most important question as to why should you be using a triple barrel iron. A single barrel requires you to roll it all along your hair length to get large curls. With something that does not have a rotating swivel can take you longer to curl. On the other hand, a triple barrel, as much as its size speaks, curls larger sections of your hair in one go. 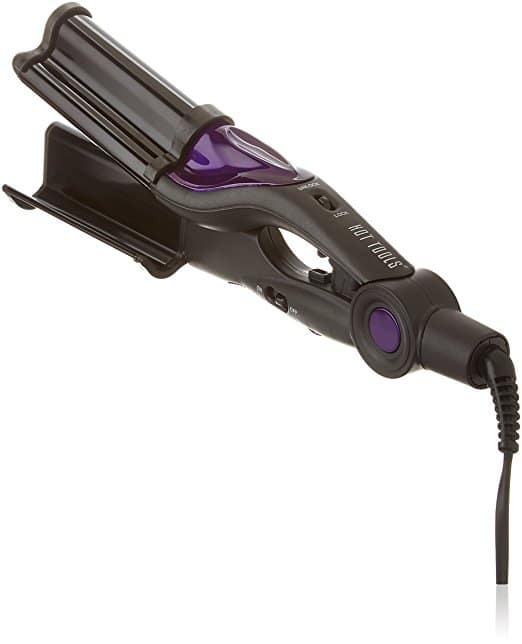 All you have to do is place the iron and not run it vertically like a flat iron or roll it like any other curling iron. It is not always hunky dory to use a heavy triple barrel. It can attract haters for its weight. A curling hair-do typically takes long enough and this would help you get a work out on your biceps and shoulder. 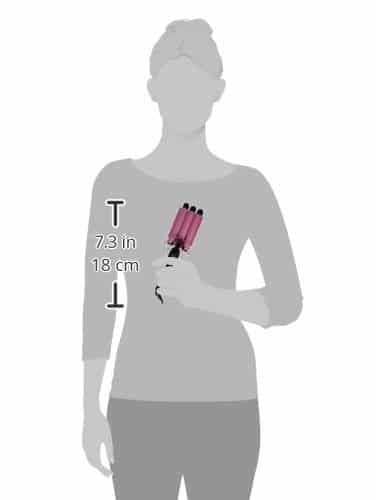 A triple barrel curling iron can get really hot by the time you get it close to your hair, so it is important what type of triple barrel you should choose. 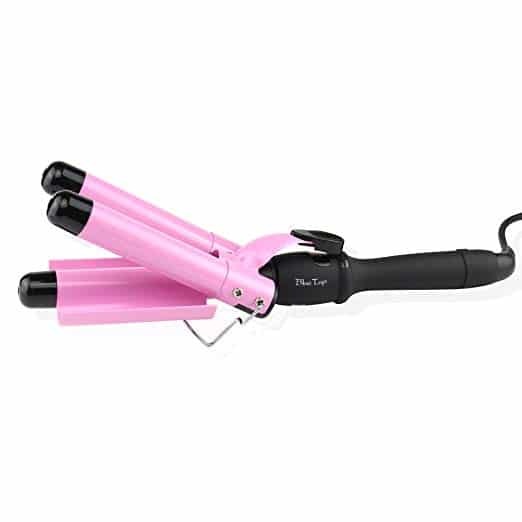 Materials used in manufacturing a triple barrel curling iron are typically either ceramic, titanium or with a tourmaline coating. Each one works best for different hair types. Thin-fine hair and thick-coarse hair are what these materials are preferred for respectively. Tourmaline is an addition to avoid an electrocuted look. It is quite heavy and hence if it falls offs from your hand, ensure that accidents can be avoided with an auto-shutoff feature. Especially if you have kids around, you don’t want your styling tools to hurt them. Auto-shutoff also is arranged to respond to overheating, apart from motion response. The triple barrel that come with an accompanied plate are easier to use versus those that are literally three rods attached to a stack. Triple barrel more than the other curling wands can get really hot! Because you are dealing with three rods at the same time. To handle the heat look for the ones that provide multiple heat settings and adjustment options, even better are the intelligent ones which can reduce heat over long usage. Also, don’t miss out on warranty if you are bouldered enough by its functionality. This keeps your spend insured while the heating tool meets with any accidents. After rolling your hair in between the three curling rods, you would definitely want to flaunt your hair with a grand let down of those curls. You can get creative with each let down, just Selena Gomez tried here. Blending curls in alternate directions would get own this hairstyle. If you someone wants to try something more than a let down. Here is a loose braid idea with curls that Lucy Hale tried to achieve her boho look. Here is another one for short hair, trying by the dive Taylor Swift herself. Try not using too many clamps to keep the curls loose and little. The hair closer to the scalp is left untouched by the heating rod. This is one of our favorite section because it eases your job of finding for the best. 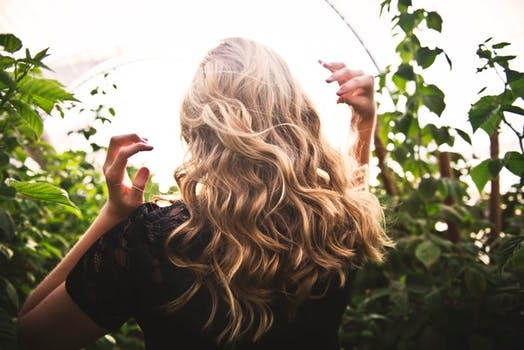 It is not just the brand, but also some interesting features that will keep your hair healthy and stylish with our list of triple barrel curling irons. Each 25mm barrel, glazed by ceramic heats up with nanotechnology. This keeps your hair healthy and shiny after a round of curling. It has fast heat up and temperature adjustment options which lets you control the heat. Its stent is made of stainless steel which is a more durable option. You are protected by a 100% money back guarantee over 90-day duration. Some consumers have a disappointing feedback when used on thick hair. It does not curl to a full satisfaction. "So definitely an excellent product, it works way better than a non-curling iron and because it's ceramic, it holds the curls much longer." Revlon’s RV084C can reach 420 degree fahrenheit for fast styling. The 3 Tourmaline Ceramic Jumbo Waver Barrels are accompanied by a locking ring, storage loop, and a tangle free swivel cord. Its unique middle barrel with an extra large length creates deep waves. The middle barrel could get difficult while curling, if you haven’t figured out the knack of curling your hair. "I really suggest this if you really really like big waves." This is another Tourmaline Ceramic technology that prevents hot spots, reduces frizz and helps eliminate static. It has a 30-second instant heat feature for fast heating. Its Iconic Steam Mist adds moisture while heating and keeps your healthy. Fast heating of the ¾ inch rods is the best feature that most users feel. It is compact and easy to carry. The small sized barrel could take you some time to create those perfect curls. With variable dial heat settings up to 430F, it also has a 8ft swivel cord for tangle-free operation. The Ceramic used radiates far-infrared heat to preserve hair's natural moisture while tourmaline produces ions to seal the hair cuticle and increase shine. Cool tips make it easy to manage tangle. Does not have a warranty to vouch for. "Overall, I do really enjoy this product. I use them all the time." This heating iron with three 25mm tourmaline-ceramic barrels have an LCD Temperature Display, making it easy-for-use. This is best enjoyed if you have thick and long hair. Heat settings range between 80 and 230 degree centigrade. Dual voltage is a strong reason for most to get one, making it simple for people to travel with it. This has no warranty to save your money. 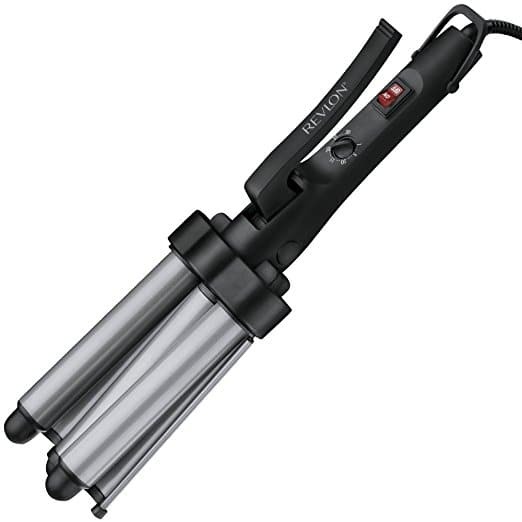 Can the bulky three rod styling wand be used for all hair lengths? Oh yes, that makes us share a hairstyle that you could try for your hair length. We begin with the shortest length. The most popular, yet casual look is the bed head look. This is the fastest look you can get out of this tool for two reasons. You are dealing with short hair and you are not expected to get your hair to look perfect. With bronze highlights, you get the perfect disheveled hair do, even without letting a wide tooth brush your hair. Once you are done with curling using a triple rod iron, roll two small sections on the side. Clasp it gracefully right to the back. Do a let down of the rest of your hair or roll it up into a simple bun. Anything that you can carry comfortably and confidently. This works best for unmanageably long hair. Curls with a triple barrel iron could also be tried just before you go clubbing or step into a beer bash. Leave a section in the front for a simple bang with a bounce. Curl the rest and let it down. Use a flat, wide-tooth brush to add a bounce to the section that is not curled. Lay it over the curls to achieve this look. Most intimidated by the weight of a triple barrel iron, let the salon stylists do the honors. But it is worth giving it a try in your own dress room. Surprise your mirror with those easy curls and beachy look. An honest advice would be that it would be difficult to travel around with it in your case to a beach, but if it is in your town and you want that perfect juxtaposed look that brings the best of an after-garage frizz-free, and yet the grace of a tinseltown lady, hit the buy button. Get one for yourself.